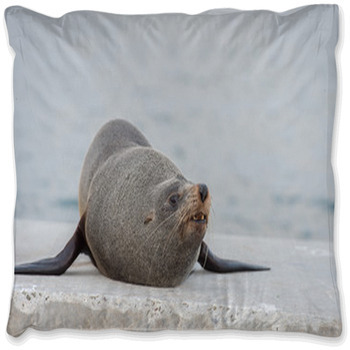 The seal is famous for being charming and lovely and also for its great sense of agility. 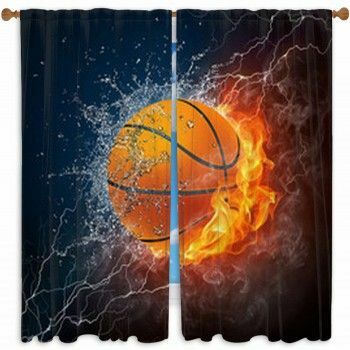 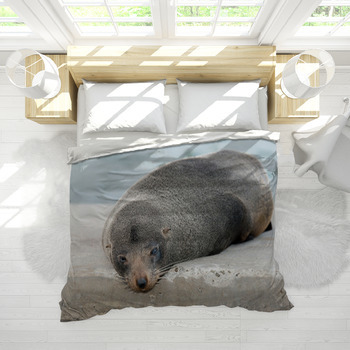 Today you can order a great seal bedding product for use in your home to really create a fine look that features this entertaining animal as the focus. 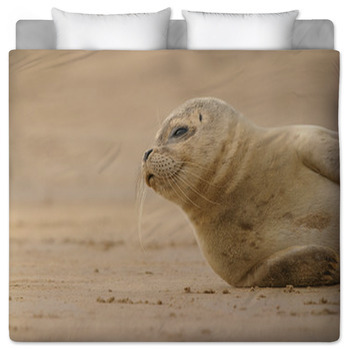 Our seal bedding products feature seals in and out of the water. 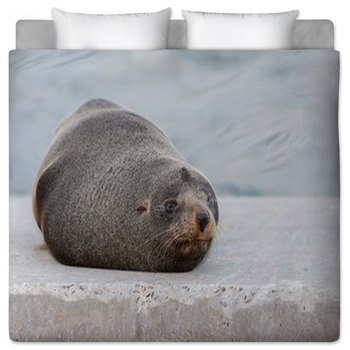 The nice blue color of the water and the gray rocks around the area on some designs are just accents to go alongside the fine gray scales that the seal has. 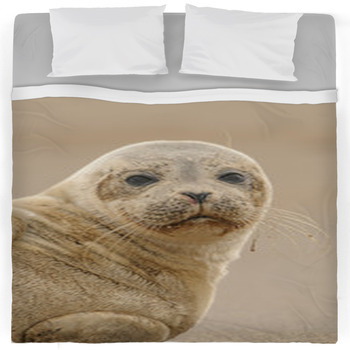 Your design can include a fine look that features the seal’s big nose and its whiskers prominently featured on your bedding set. 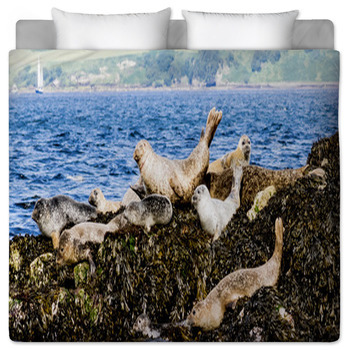 Many of the seals that we have can be seen lying on the rocks alone or with a larger grouping of seals depending on what you order. 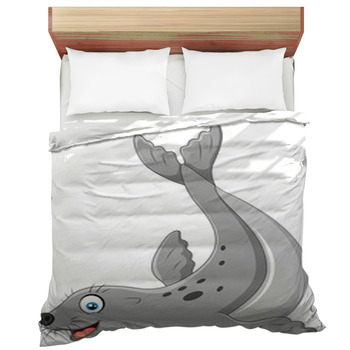 You can also work a seal bedding set that features a cartoon picture of a seal. 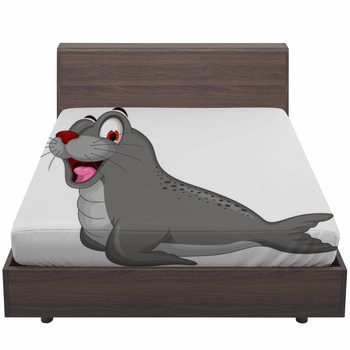 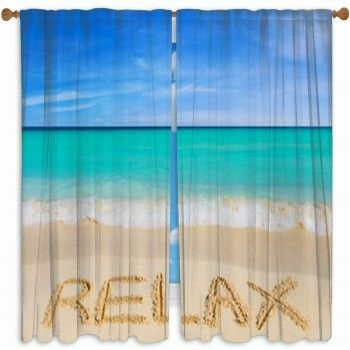 This cartoon design can come with a fun look with a happy seal and its fin and flippers being easy to see. 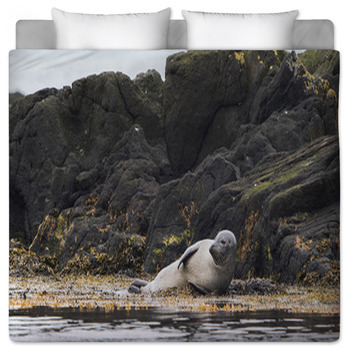 The whiskers and big nose on the seal will especially be easier to spot on one of these seal bedding sets. 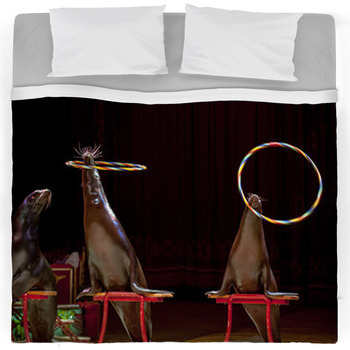 We even have some designs featuring seals in a series of circus acts. 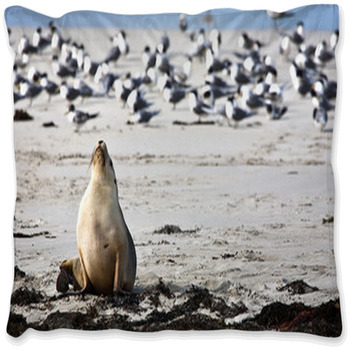 The seal is a popular circus animal and we are proud to showcase seals showing off their skills in our designs.